The problem: say you want to customise the font colour of a tab on a tab or page control. Back in the day, this was simple — set OwnerDraw to True and provide a handler for OnDrawTab that just sets the font and draws the text. With Windows themes, however, things are not so simple, since setting OwnerDraw to True disables theming for the control. Not a VCL limitation as such, this merely reflects the behaviour of the underlying API control, and if you think about it, it makes good sense from a backwards compatibility point of view. Nonetheless, this is still an issue if you know what you want, which is simply to customise a tab’s caption. Enter, then, TTabControlEx and TPageControlEx, which use the theming API to provide the proper ‘look’ even when OwnerDraw is set to True. Limitations: TabPosition must be tpTop (the default) and Style tsTabs (ditto) for the code to take effect. However, my code does support the Multiline property being set to True. 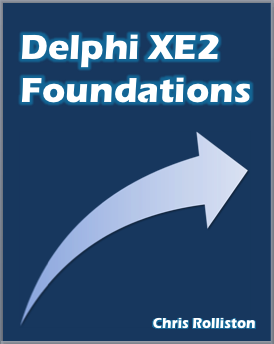 Minimum Delphi version: Delphi 7. Delphi 2009+ compatibility: should be fine, since the code does not do any character crunching. Download: from Embarcadero CodeCentral here. Many thanks for the TabControlEx which mostly works great. I’ve hit a bug though: if you set the control to be MultiLine=true, the tabs no longer draw correctly. I think is due to using R.Top as an offset in DoDrawTab. Not entirely sure what the best way to get the correct offsets is. Anthony — thanks, I’ll have a look at the issue you raise at some point, though I don’t know when exactly. Many thanks, seems to work great. Thanks. I’ll have a look at this in a bit.